The urge to felt seems to have somewhat abated for awhile…. Did I mention that I bought 4 balls of eyelash yarn just before I started the blog? (and you thought it was only 3 and you were done hearing about the them with the demise of the elegant fireworks…). Not so lucky you… Anyway…this is the only hat I came up with for the fourth ball. The rest of the ball will languish with the other part balls of novelty yarn that are left over from the only hats I have made out of Them….. I called this post Perestroika because whenever she wears it, Heather reminds me of someone from a Russian novel. I figure this hat is actually successful because Heather chooses to wear it all the time. I have seen her wear it at least a dozen times to school…you know,,,that place she goes most days that is chock full of her peers…she did however decline to pose for the picture as you can see from the ‘model’. 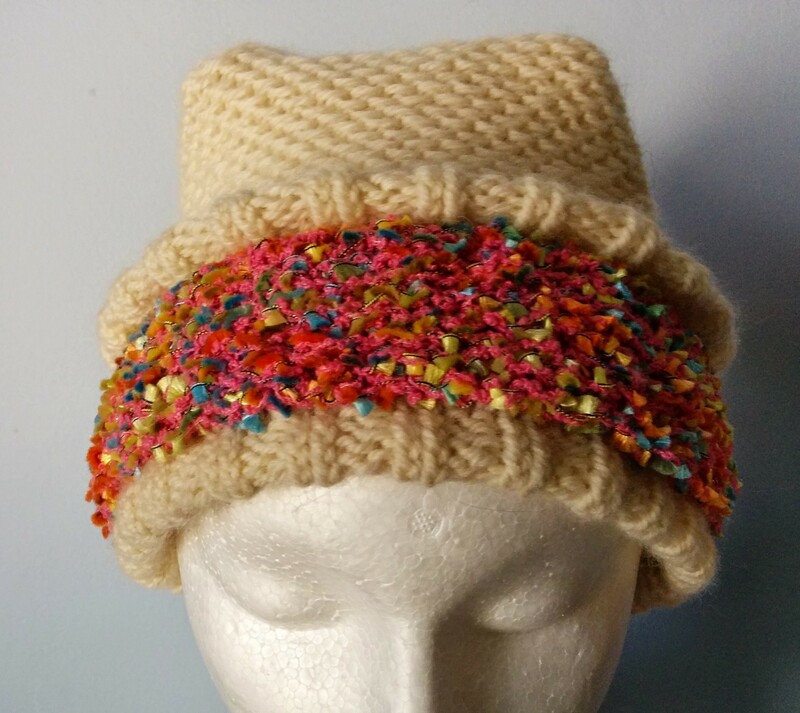 This entry was posted in novelty yarn and tagged eyelash yarn, knitted hat, knitting, Knitting and Crochet, novelty yarn, Patons Classic Wool on February 2, 2014 by gillianknitter. 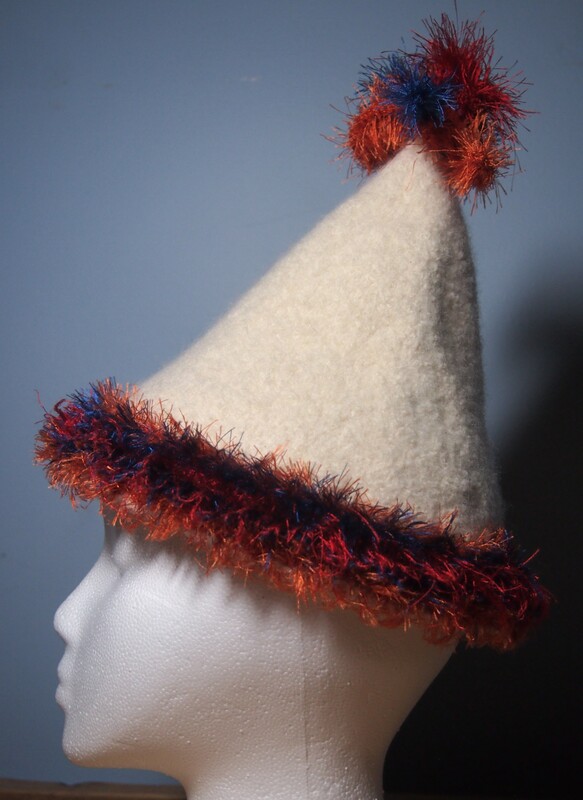 If I mention felting again…just shoot me and get it over with…there is sooo much more knitting in a felted hat. I have done 4 of them in a little over a week…I do love how they stand up and hold their shape though. As you may have gathered in previous posts, Heather is NOT happy with my ‘artistic’ direction. 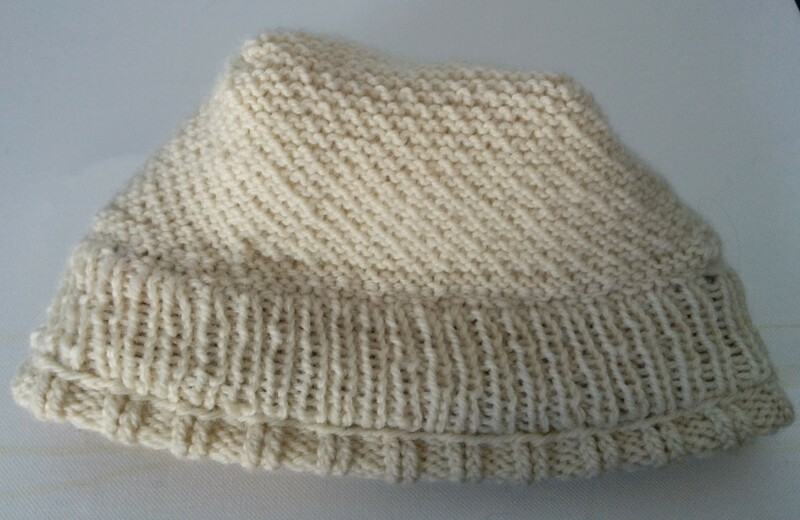 The other day she said the blog has ruined my hat making ability. In her opinion, I am trying too hard to be creative for my fans. I did point out that 20 friends and family and 5 other people following me does not constitute much in the way of fame, but she was having none of that. 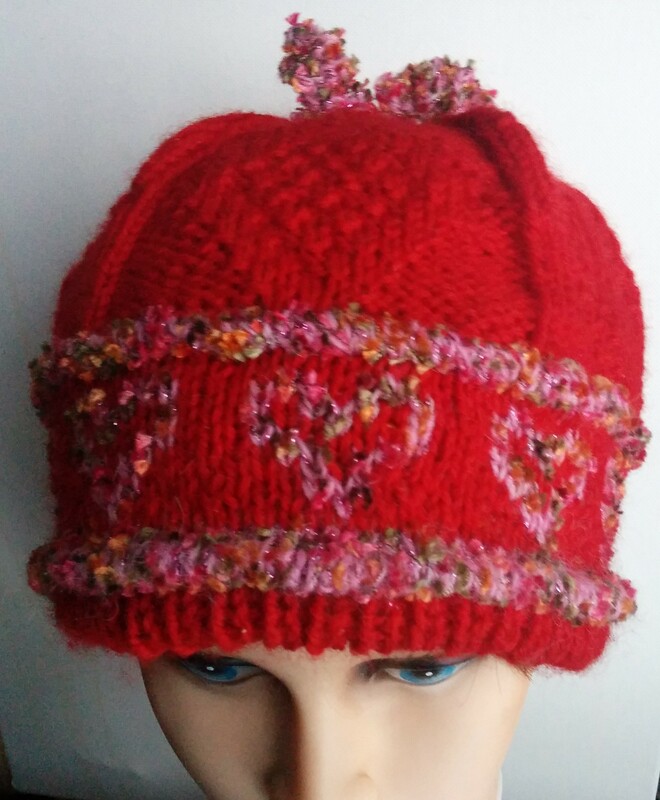 I think she just likes plain hats, no bells or whistles, just some pattern stitches and maybe a bobble on top. None of this wacky stuff. And I think she has a point. 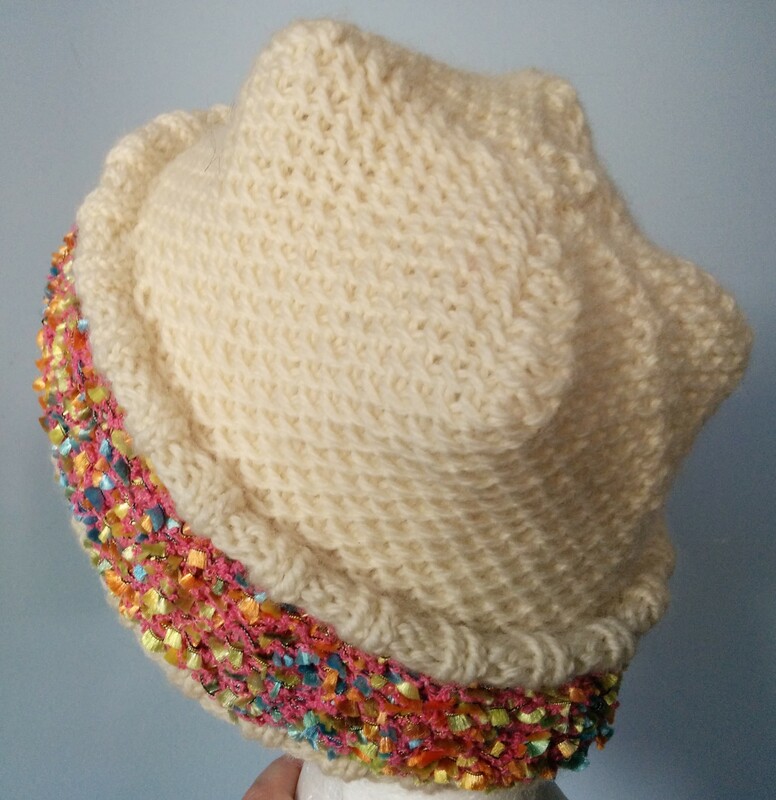 I do like making the hats with novelty yarn and frills but I am not sure many would wear them, holidays notwithstanding. 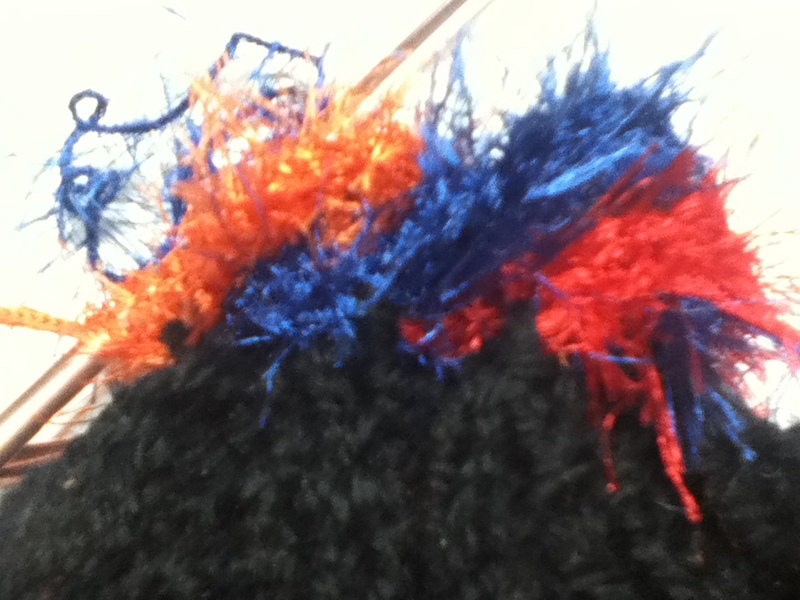 For today’s hat, I didn’t want any of the Bernat Boa left over, so I made the topper first. I just kept crocheting chains 8 stitches long and returning to the base with 6 single crochet. I kept this until I thought it had enough spikes. I then cast on 100 stitches and knit until I ran out. I then switched to Patons Classic wool and increased to 150 stitches. After 8 rows, I decreased to 144 then lost 8 stitches every 6 rows. 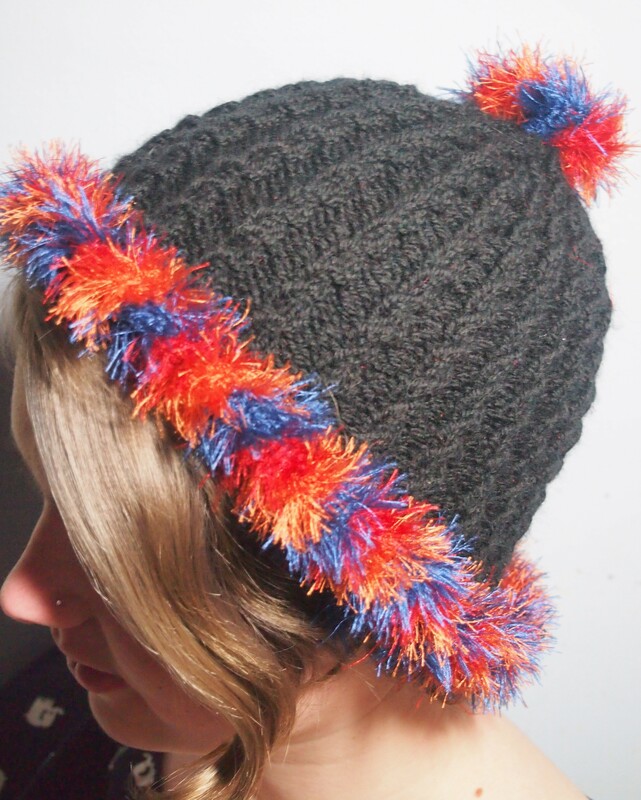 This entry was posted in felting, novelty yarn and tagged Bernat Boa, Felt, felted hat, hat, knitted hat, knitting, Knitting and Crochet, New Years hat, novelty yarn, Patons Classic Wool on December 31, 2013 by gillianknitter. 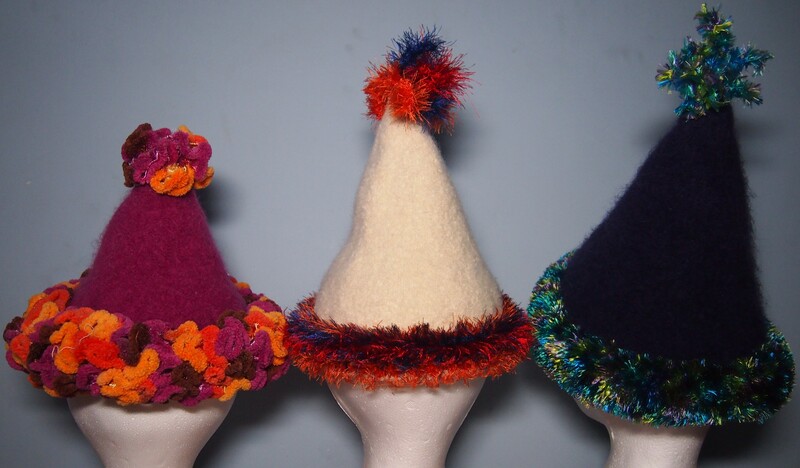 This is the second of (hopefully by tomorrow) three felted New Years party hats. For this one I used Patons Classic Wool as the felting yarn and I combined it with Bernat Truffles as the accent. I decreased more aggressively (10 stitches every 6 rows all the way up) on this hat than the one yesterday and I don’t think it was such a great idea. I am going back to a less aggressive decrease for tomorrows hat. 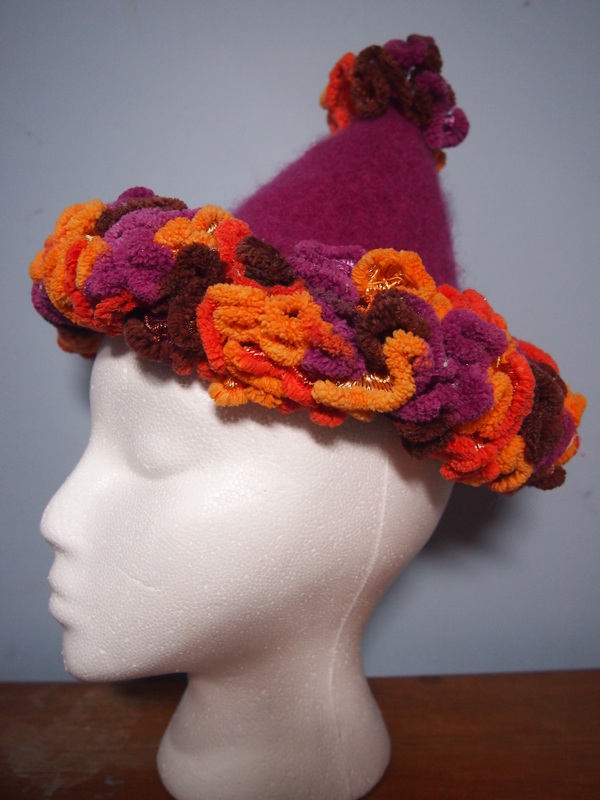 This entry was posted in felting, novelty yarn and tagged Bernat Truffles, felted hat, hat, knitted hat, New Years Eve, New Years hat, Patons Classic Wool on December 30, 2013 by gillianknitter. This, the 3rd edition of the elegant fireworks series. (see the first and second) (and I STILL haven’t finished the balls of eyelash yarn!). This one uses i-cord to make a rope effect around the bottom and top. For the top, I did the same technique, using live stitches instead of picking up from the cast on edge. For the first i-cord of each colour, i used two live stitches and picked up a third between them. 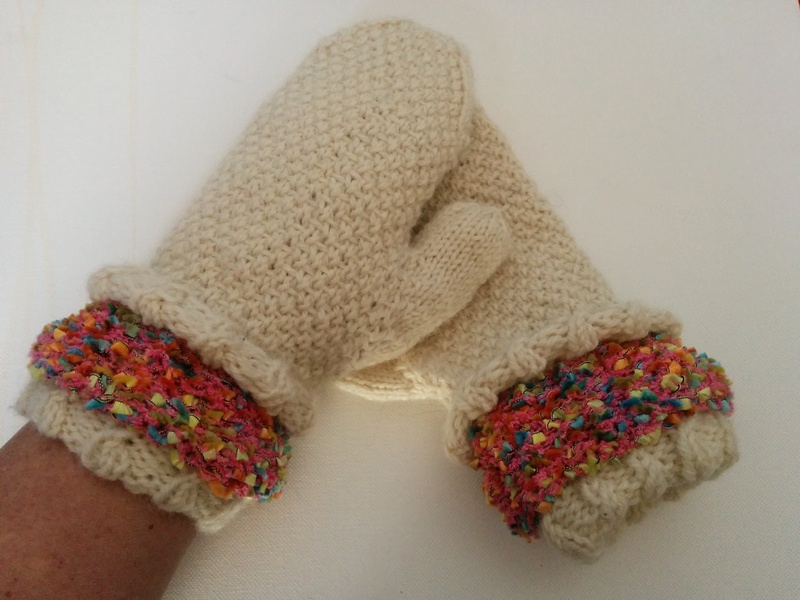 This entry was posted in knitting techniques, novelty yarn and tagged eyelash yarn, knitted hat, knitting, Knitting and Crochet, novelty yarn on November 25, 2013 by gillianknitter.